Get ready to dig! Moving dirt is what these Earthwork Contractors do. In this article Shawn Denny, owner of Specialty Grading, discusses the critical steps involved in preparing a foundation for a new home. The lot prep is the first and foremost important step when preparing a new home-build project. The residential excavation company works hand-in-hand with the engineer to safeguard the home’s foundation and to create a permanent residence for the homeowners to enjoy for years to come. It’s a rule of thumb, Shawn Denny does not begin any project without first getting a soils report from the engineer. Even though he has been in this industry long enough to know when there is clay in the soil, the documentation is key. Knowing what is in the soil lays the groundwork for how to proceed with the project. The soils report will show the components of the soil as well as indicate the plasticity index (PI). The PI measures the level of the soil’s plasticity characteristic. Clay is the main culprit for raising the PI to suboptimal levels. When water is added to the clay material, the characteristic becomes moldable, flexible, and easily manipulated, like plastic. This is not ideal to have underneath a foundation of a home. As the material becomes saturated with water it expands causing havoc to the stabilization of the foundation and adversely affects the permanency of a home. If clay is found in the soil it will have to be removed. 2. The engineer and land excavation company work together to prepare the land for the best foundation option for the home. This sounds impressive, but the cost may not be, which can sometimes exceed the cost of a conventional foundation. Denny’s experience has afforded him knowledge of creative methods to save the builder the most time on the project, which ultimately saves the most money. As he surveys the land, Denny also scans for possibilities to ensure the job gets done within the most-time efficient manner, using the resources he has at hand…he’s very clever! The lay of the land will determine what the excavation company has to do to proceed. Dirt won’t always be the answer to leveling a sloped lot. If there is too much of a slope, the best method Denny advises is to create a level foundation by building it up using either wood or concrete. For land that can be leveled using the traditional method with dirt, quality buildable soil will need to be trucked to the site. To save time and money, Specialty Grading imports structural fill that is engineered specifically to create a strong and sturdy base for the foundation. The fill is also pre-moistened for quicker compaction without the need of a water truck—another time and money saving tactic. The slope of the land is measured using a laser beam level to calculate the highest point and the lowest point of where the foundation is to be laid. With these points identified calculations are made to determine how much engineered fill is required to level the land. The purpose of compacting the soil before the foundation is laid is to minimize the amount of air pockets within the subsurface of the soil. By effectively reducing the air pockets this decreases the risk of the soil shifting under the pressure of the house due to the dirt settling into these empty spaces. Compacting the dirt also makes it much more difficult for water to pass through the soil creating reduced hydraulic conductivity. Though the permeability of the soil is reduced, water is an essential component in the compaction process. Water is applied to the soil to achieve further compaction by way of lubricating the granular particles of the dirt to fit more cohesively. As the earthwork contractor gets underway with rising the dirt to the determined height, it is required for each foot of ground vertically-raised to be inspected by the engineer until the finished grade is reached. That means the excavation crew must use external mechanical pressure to attain optimal density and compaction. Denny’s crew achieves this by method of a wheel-roll grid compaction over the dirt, not leaving a square inch untouched for every foot raised. It may sound monotonous, but Denny’s team does not cut any corners when it comes to proper compaction of the foundation’s soil. As his team progresses with the project, Denny is in constant communication with the engineer to advise of the conditions and to provide the best work possible with the engineer’s guidance. This portion of the project is extremely intricate. Denny ensures his team is knowledgeable with what they are doing to eliminate wasted time with the engineer and the developer. The engineer uses the Proctor Compaction Test to determine if the soil is foundation ready based on two crucial factors, the moisture level and the density level. Together the percentage should equal 100%. If the amount exceeds 100%, this is considered abnormal, meaning there are other components in the soil constituting the irregular total. The test also calculates the dry density of the soil when it is in its natural state. Once each required test is performed and receives the engineer’s stamp of approval the foundation is ready to be poured and the construction can get underway. 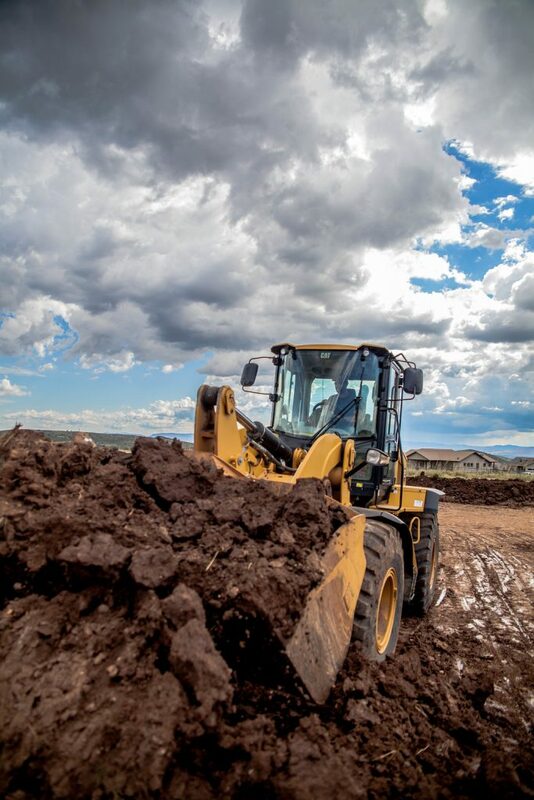 Specialty Grading is a locally-owned family business in Prescott Valley, AZ. They provide top-notch care and service to each of their homeowners and developers, whom they feel honored to work with. Established in 1995, the land excavation company has over 20 years of experience providing high-quality services at a great value. Diligent, hard-working professionals and sensible solutions provide clients with a satisfactory end result by a trusted crew who gets the job done right the first time. Specialty Grading is committed to their clients, taking the time to listen to their needs and to work with them within budget and expected time frames. Come to Specialty Grading for your Arizona residential excavation needs. We provide solutions specifically for you. Contact us via email or phone today for a free estimate.